Back in July of 2013, Canon announced the release of the EOS 70D – a replacement for 2010’s 60D – which placed itself neatly at the top of Canon’s range of mid-level DSLR cameras. Alongside this announcement came the release of Canon’s Dual Pixel CMOS AF technology. This technological advancement was Canon’s answer to a long-suffered problem within DSLRs, specifically when using autofocus when shooting in live view mode. Prior to this release, almost all Canon DSLRs that feature Live View mode utilise a type of on-sensor contrast detect AF in order to allow the camera autofocus while the internal mirror is locked up out of the way of the sensor while in live view mode. Although this solution works, it unfortunately has a bad reputation for being slow and sluggish, and can often hunt for targets, much to the aggravation of the user. This is particularly a problem for videographers as the constant racking backwards and forwards can ruin their video footage. The development of Dual Pixel CMOS AF aimed to put an end to this. It has been designed to speed up the focusing performance of DSLRs while in Live View mode, and has since been included within the 7D Mark II (launched in late 2014), as well as being rumoured to roll out on to future Canon DLSR releases in the coming years. This technology offers a range of advantages for both video and photo capture, so if you own a 70D and have never taken full advantage of this remarkable technology, then now is the perfect time to do so. Over the next few pages we’ll be showing you how Dual Pixel CMOS AF technology works and how you can make the most out of it to improve the quality of your video footage. What is Dual Pixel AF? For those who are unfamiliar with the term Dual Pixel CMOS AF, it refers to the 70D’s newly developed sensor-based autofocusing system. When the camera is switched over to Live Mode, the internal mirror is lifted up and out of the way of the image sensor, allowing the camera to continuously record the light entering through the lens and transmit the data on to the rear screen as a moving image. The downside to this process is that without the mirror in place, the camera can no longer utilise the main phase-detection AF system in order to focus automatically. One solution to this problem was to incorporate AF sensors on to the face of the image sensor itself. Previously, these AF sensors have been of the contrast-detect variety, which are often slower and less accurate at locking on to targets than phase-detection – especially when tracking moving subjects. However, Canon has recently developed the Dual Pixel CMOS AF system, which allows sensor-based phase-detection autofocusing to enhance the experience of shooting in live view mode. The system works by cleverly splitting all of the effective pixels on the surface of the sensor in to two individual photodiodes – one for left and one for right. Each of these photodiodes are read separately, allowing phase-detection autofocus while simultaneously being used for image capture. This Dual Pixel CMOS AF is able to cover over 80% of the frame and is much more accurate than its contrast-detect counterpart, while not compromising on image quality. As we’ve already briefly touched upon, one of the main benefits of Dual Pixel CMOS AF is that while the camera is in live view mode, it’s now able to lock on to and track subjects more quickly and accurately than ever before. This is particularly useful for avid videographers, as the 70D allows them to let the camera handle the focusing while they concentrate on getting the composition and exposure settings right. 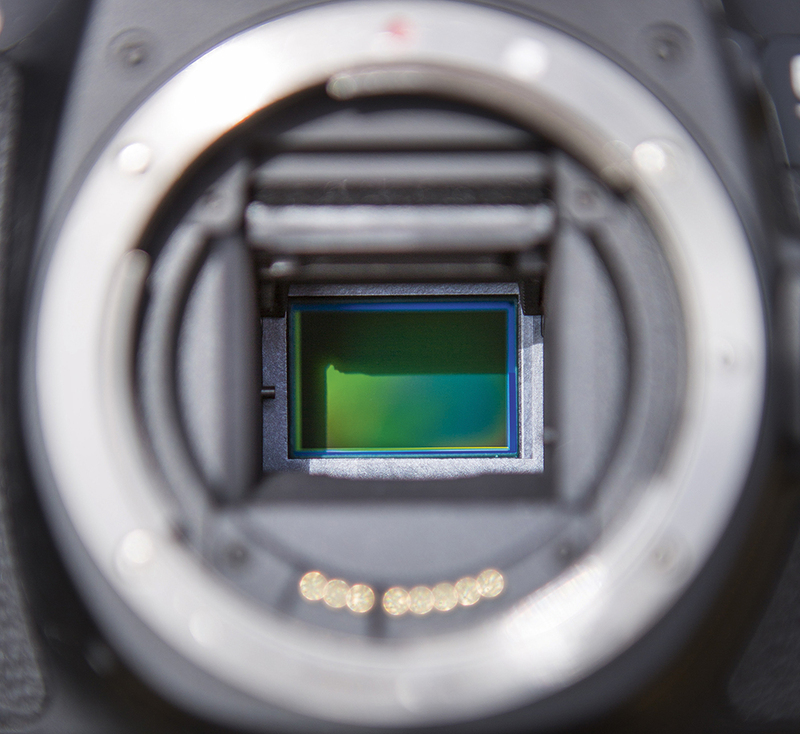 The Dual Pixel CMOS AF system has been developed to work in tandem with the 70D’s Movie Servo AF mode. With this mode activated while in live view, you can use the rear touchscreen to tap where you would like the camera to focus and the camera will do so in a smooth motion, which is particularly nice when shooting video as it will give you a slick and professional-looking focus pull. Without this option activated, the camera will simply lock on to the target as quickly as possible, which can look jerky and unflattering. 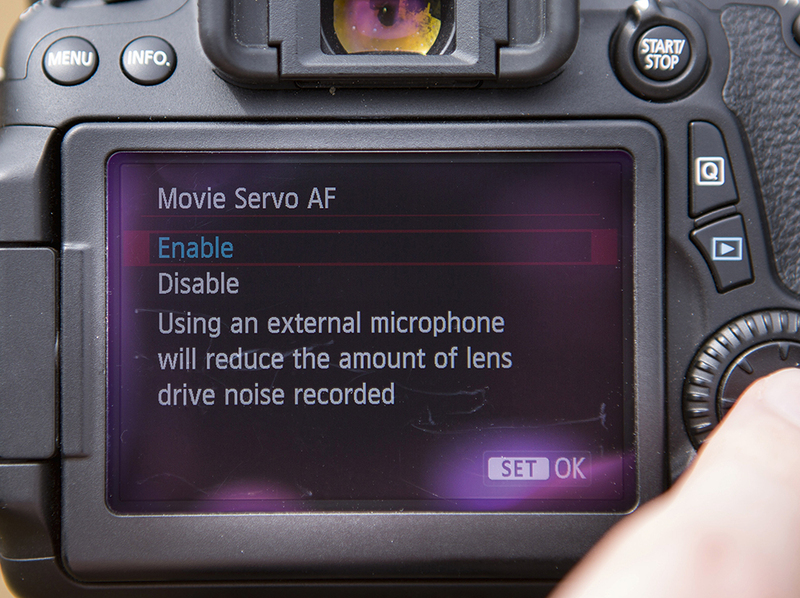 The Movie Servo AF mode is activated by simply pressing the Menu button on the back of the camera and then navigating to the first set of video options. From the list, set Movie Servo AF to Enabled and you’re all set. 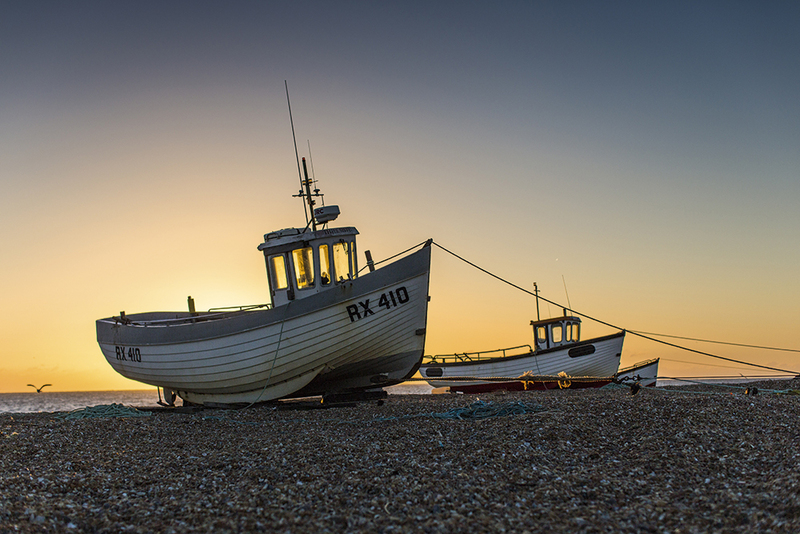 The Dual Pixel CMOS AF system is also beneficial to photographers who prefer to compose their shots using the rear screen as it’s now possible to quickly compose a shot, lock on to a target using the AF and take the shot without having to put up with slow and clumsy autofocus. With most standard lenses, the built-in AF motor can often generate a lot of grinding and whirring noises as the camera tries to lock on to its target. This is fine for still photography, but when recording video it can be a total disaster as the motor noises will inevitably be picked up by the camera’s built-in microphone and will ruin the audio of your video. The solution? Well, Canon has a range of lenses that have been deigned specifically to provide an answer to this problem. These lenses have stripped out the traditional style of AF motor and have replaced them with a special Stepper Motor (STM), which are near silent when in operation. This new breed of lens not only solves the noise problem but also means that when teamed with the 70D’s Dual Pixel CMOS AF system, you can capture great video footage as well as maintaining optimum audio quality. Dual Pixel CMOS AF marks an impressive milestone for the world of digital SLRs. In the past, focusing while in live view has been something of a chore, with the contrast-detect AF being rather slow to react and inaccurate when locking on to targets, leaving videographers having to master the art of manual focusing in order to guarantee their subject remains sharp and in focus for the duration of the clip. Now, with Dual Pixel CMOS AF, videographers will inevitably exhale a sigh of relief as their pleas have finally been answered with an AF system that’s is much more responsive and that can be relied upon. 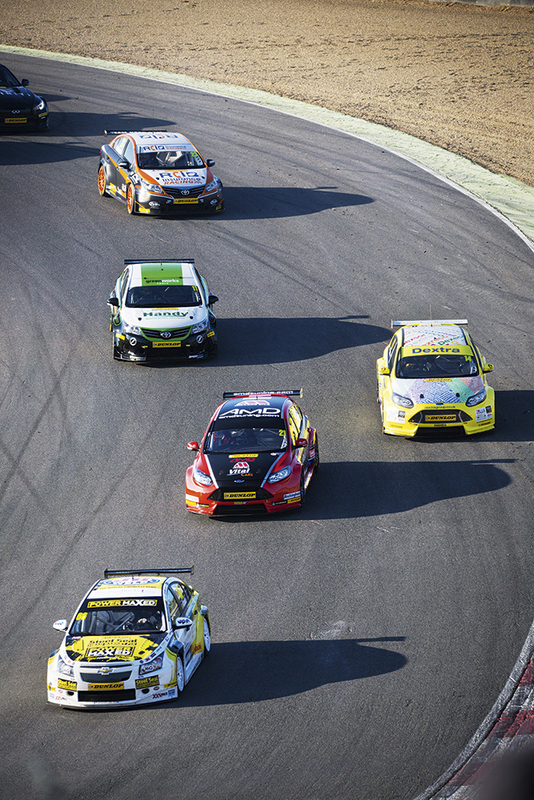 Stills photographers who prefer to use live view to compose their shots will also be pleased with this new technology as it now makes live view a much more streamlined and viable option for shooting photos. This will potentially make DSLRs seem much more user-friendly, particularly to those who are used to shooting with a compact camera or a smart phone, and it’s great to see Canon addressing what has been such a long-suffered problem and solving it with new and innovative technology. It’s interesting that Canon has chosen to unveil this new technology on an APS-C format camera, as we’re yet to see Dual Pixel CMOS AF roll out on to full-frame sensors, though we’d be surprised if this wasn’t to happen on future models. One day I’m sure we’ll see this technology trickle down to lower-budget, entry-level DSLRs, but how long we’ll have to wait for this to happen is hard to predict. If you’re looking to get into shooting video with the 70D and you want a lens that offers versatility as well as a range of bonus features, then the Canon 24-105mm f/3.5-5.6 IS STM is a good place to start. Once the APS-C crop has been factored in, this lens equates to 38.4-168mm, which is flexible enough for a wide range of subjects, including sports, wildlife and family events. Its built-in stepper motor (STM) means it’s near silent when focusing, which means it won’t spoil your audio, while the lens also offers a built-in Image Stabilisation system to reduce the effects of camera shake for smooth video footage even at the longest end of the zoom. 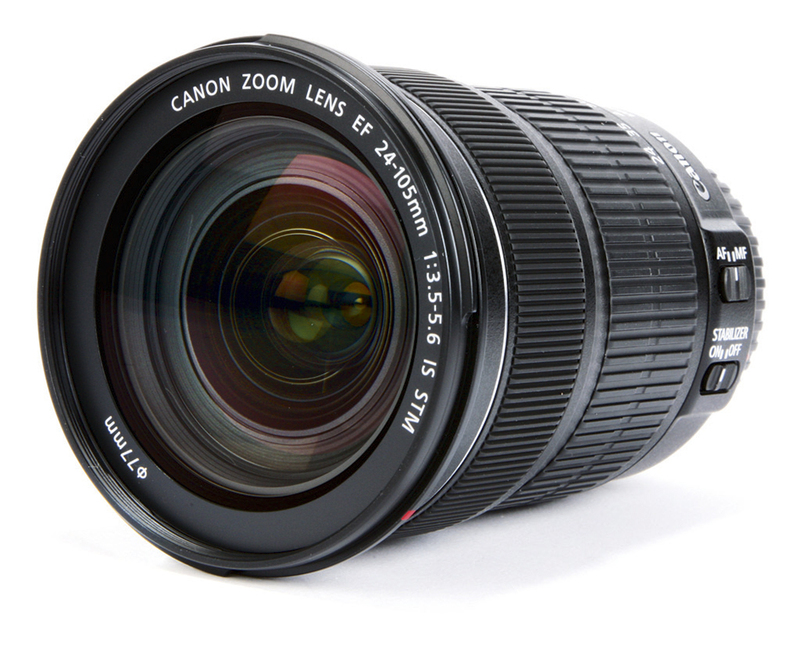 Alternatively, the Canon 24mm f/2.8 IS STM pancake lens is a small and lightweight prime lens, with a fast maximum aperture of f/2.8, which is ideal for capturing great shallow depth-of-field effects. 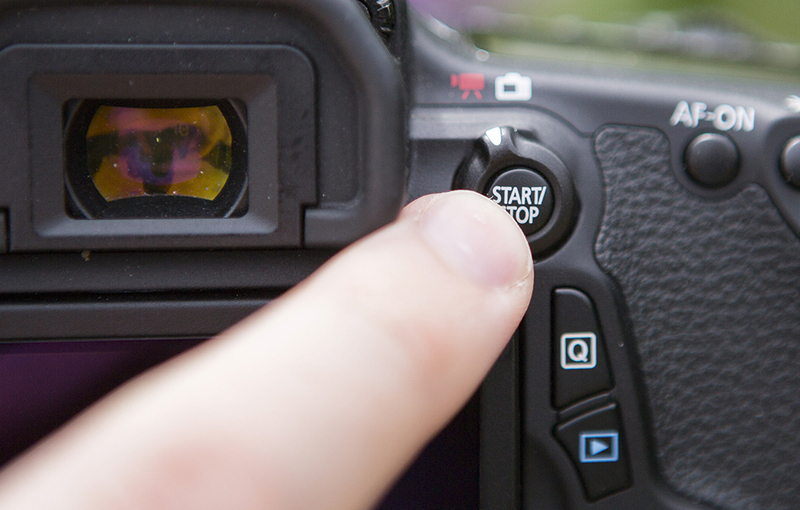 With the camera switched on and ready to go, locate the Live View dial to the right of the viewfinder. By default the switch will be set to the camera icon, so turn it to the left to activate the Video Record mode. Doing this will automatically activate Live View mode and you’ll hear the camera’s mirror flip up instantly. It’s important to make sure that not only is the camera set to autofocus mode, but the lens as well. 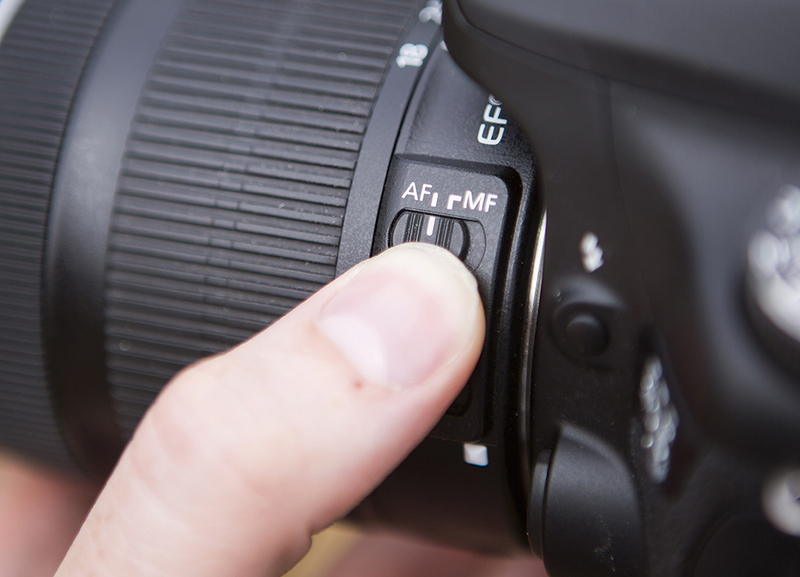 Locate the MF/AF switch on the side of the lens barrel and ensure that it is set to the AF position to activate automatic focusing and allow the camera to start locking on to targets. Activate Movie Servo AF by pressing the Menu button (on the left of the viewfinder) and go to the first set of video options. Second from top will be Movie Servo AF – set this to Enable by navigating to it, pressing the SET button and choose Enable. Press Menu again to back out of these options once you’re done. 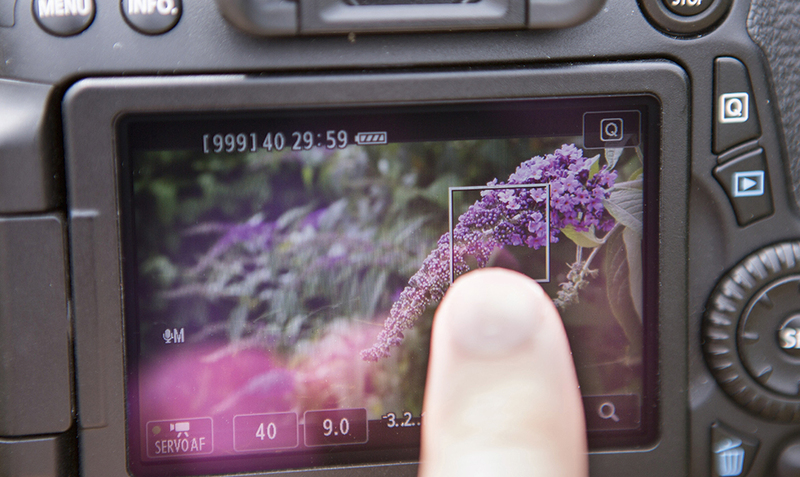 Using the 70D’s touchscreen you can tap to set the area in which the camera should lock on focus. If you move the camera around and hover the AF point over different subjects, the camera will lock on to objects as they pass through the frame. The AF point can be moved by tapping a new location or using the d-pad. Once you’ve got the hang of focusing, it’s time to record some video. 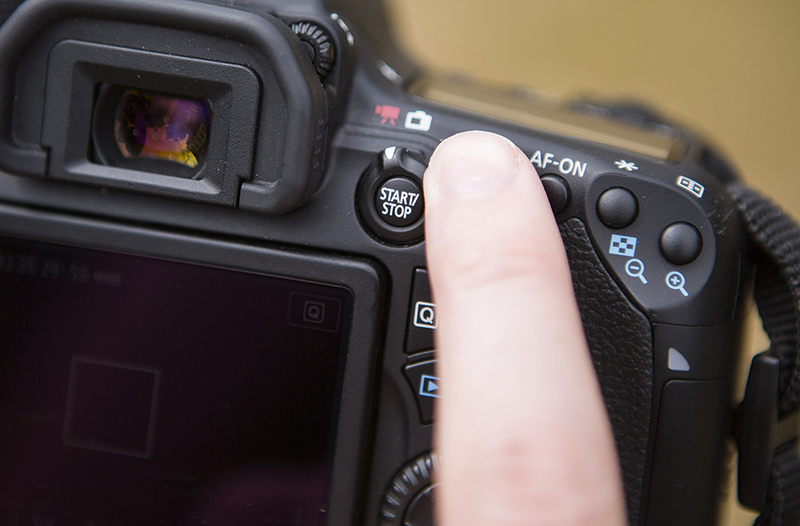 When you’re ready, press the Start/Stop button to activate video capture – a blinking red light on the screen will confirm that the camera is recording. Once you’ve finished, press the Start/Stop button to commence the recording.